VMware Hybrid Cloud Extension delivers secure and seamless app mobility and infrastructure hybridity across vSphere 5.0+ versions, on-premises and in the cloud. Deliver consistent operations for your apps and infrastructure across any cloud. Run, manage, connect and secure your entire application portfolio on any cloud to any device. Are You Ready for Public Cloud? As you plan to leverage public cloud as part of your IT strategy, find out why modernizing your on-premises infrastructure should be part of your strategy. Discover the benefits of having an infrastructure that spans across private and public cloud. Extend to the cloud to increase agility, and to reduce risk and complexity. Develop for the cloud by using containers and microservices. Take advantage of SaaS for easy and secure access to applications. Hybrid Cloud Extension (previously known as VMware HCX technologies) abstracts on-premises and cloud resources and presents them to the apps as one continuous hybrid cloud. Over this, Hybrid Cloud Extension provides high-performance, secure and optimized multisite interconnects. The abstraction and interconnects create infrastructure hybridity. 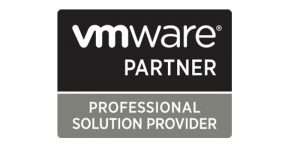 Over this hybridity, Hybrid Cloud Extension facilitates secure and seamless app mobility and disaster recovery across on-premises vSphere platforms and VMware Clouds.Hybrid Cloud Extension is initially available with IBM and OVH starting September 2017, and in Preview with VMware Cloud on AWS starting November 2017.